In Russia, not so long ago started a real fashion for green tea. its advertised, almost as a panacea for all ills, a great tool for weight loss, for preserving youth. 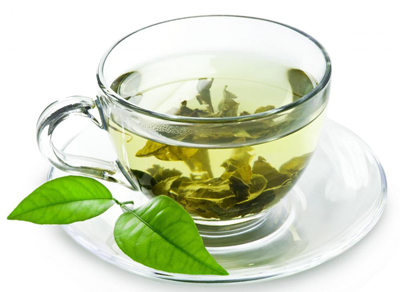 Due to advertising, many people, believing in the healing properties, Try to drink as much as possible krepkozavarennogo green tea, hoping, what, in this way, get rid of the disease, or lose weight in an instant as if by magic. Often, however, they were disappointed. Truly useful tea turned around for some other party. Many began to complain about the deterioration of health and health problems. The question arises - why? What are the contraindications exist, and is it really safe for all green tea? First of all, Green tea should be with extreme caution in order to drink, who suffer from some chronic diseases, there can be complications. Green tea is contraindicated in the, who has a stomach illness, ulcer, hyperacidity, as it stimulates the secretion of gastric juice. Green tea has fastening properties, therefore, contraindicated persons, prone to constipation. Can't drink a lot of tea at high temperature, it can also improve. Tea lowers blood pressure, therefore, it is not recommended hypotensive, but high blood pressure need to apply only a weak infusion due to the high content of caffeine. Caffeine with caution should drink it and patients with cardiovascular disease and nervous system problems, strong tea they are absolutely contraindicated. Pregnant women are also better at the outset to consult a doctor, at least reduce the amount of tea consumed up to one to two cups, drink only slobozhany. Not recommended green tea and young children, as well as people with individual intolerance to caffeine. You shouldn't drink green tea the, who anemia, because it inhibits the absorption of iron and has a destructive effect on folic acid. Research by American scientists showed, what if the day drink large amounts of strong tea, they can negatively affect the bones, increasing their fragility, and also to break kidney and liver due to the high content of polyphenols. A large number of tea every day may even cause intoxication. Harmful properties may increase, if the green tea to brew incorrectly, drinking too strong brew, especially on an empty stomach, long to insist, to use the old welding, adding boiling water. You can not drink too hot or too cold tea, drink a lot of tea a day, drinking tea before bedtime, drink tea medication, to combine green tea with alcohol, can suffer kidney. It turns out, and a very useful green tea is the reverse side, a measure is necessary in everything. therefore, it is necessary to strictly take into account the individual characteristics of each person, even with the use of such medicinal products, as green tea. But one or two cups of weak green tea will only benefit, if a, of course, no obvious contraindications.